Scrap Metal Recycling Redlands - Smart Recycling Inc.
Open during business hours, Smart Recycling Incorperated is a full service scrap metal recycling company. Our professionally dispatched vehicle fleet is available on the same day, or within twenty-four hours of your inquiry. You are able to move forward knowing that any unusual scenario will be completed properly and in short order. 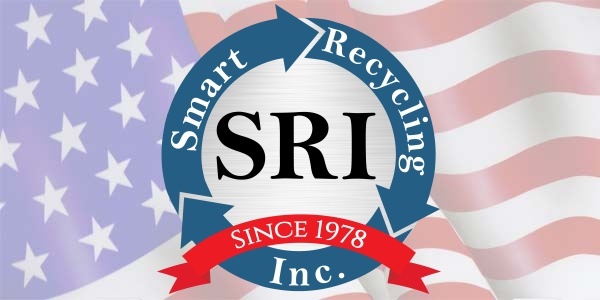 Smart Recycling Inc provides a full service crew, including more than enough equipment to take on just about any project, whenever, wherever in Redlands and its surrounding area. · Daily commitment to incomparable service and true scrap metal prices! With Smart Recycling, you can expect the widest selection of scrap metal reclamation services and collection containers for recyclables in and around the Redlands area. From specialized solutions for reclamation, disassembly or collection, to pinpointing the after-market most favorable to you, Smart Recycling’s professional professionalism and versatility is first rate. Your scenario is different. We understand, and that is why we offer “hands on administration” by our qualified team members. We begin with a thorough analysis of your situation, but it’s the mindful attention we place on meeting your exact needs that boosts your cash from every recycling effort. And that keeps our clients returning again and again. In today’s rapidly changing environment, we view our clientele as business partners and work hard at offering cost effective strategies to recycle scrap metals and other recyclable commodities. · Custom boxes to match your project needs. Our teams possess the knowledge, machines, and authorization to safely provide demolition solutions for commercial plants, with each crew member having completed current OSHA (Occupational Safety and Health Administration) schooling and certification. We’re surely prepared to construct a custom plan that meets your plant’s demolition and clean-up requirements, irrespective of how large or small the undertaking. When you require containers for scrap metal collection and pick-up, and an expert team of dispatchers, Smart Recycling will be here to serve you. From logistics to transportation, we will arrange for trusted and efficient scrap delivery from your scrap yard or manufacturing facility to one of our four recycling plants. If you will need a roll-off box for your production center, construction site, clean-up project, or at your recycling facility, we will dispatch it on-site and on time. How can i find out if Smart Recycling will take my metals? The most common metals accepted by scrap yards include copper, steel, aluminum, brass, iron and insulated wires of all types. Having said that, your town’s scrap yard will certainly process additional materials for recycling and offer you cash payouts for your scrap metals. If you are confused about what you have or what you may want to do, contact Smart Recycling and we will have a friendly specialist answer all your questions for you. When you’re attempting to recycle scrap metal it is crucial to identify what kind of metal you possess. The easiest way to determine what type of metal you’re dealing with is to make use of a magnet. If the magnet sticks to your metal, you have a ferrous metal in your hands, such as steel or iron. If the magnet doesn’t stick, you have a non-ferrous metal, such as copper, aluminum, brass, stainless steel or bronze. These metals tend to be more valuable to an organization like Smart Recycling. Then, you can use colors, texture and other aesthetic guidelines to figure out accurately what variation of metal you’re dealing with. If you are still doubtful, call us and we will be glad to guide you in any way we can. Will Smart Recycling offer the over all size and number of containers appropriate for collecting scrap? Yes. Not only does Smart Recycling provide containers for continuous generated scrap, we will also provide custom sized containers of any size to support handling and sorting needs. How is the price per pound identified and maintained for present and future purchases? All metal values are established upon industry conditions regularly. The process most employed by Smart Recycling is centered on the published Metal Market Report found in the American Market Journal; which will be provided if need be. Working with this system as a guideline, an agreed upon margin of plus or minus published values can be set for all upcoming purchases. How fast can Smart Reclycling pick up after we request your services? If a call for service is received before 10:00 a.m. of any weekday there exists a extremely good likelihood of getting same day service. However, all service calls received will be fulfilled no later than next day guaranteed. Special need situations are managed quickly. How quickly after material has been picked up and assessed will we get payment? It is solely at the discretion of the agent representing its organization, often, payments are initiated within a 30 day period of receiving metals. However, Smart Recycling will pay out for all agreements inside the time frame chosen by our clients. How long has Smart Recycling been in business? Salvatore J. Russo established Smart Recycling as Russo Metal Company in 1978. In those days the focus was purely industrial scrap. As time passed, the recycling unit was developed, and after that surplus sales, then Dumpster rentals. In 1995 Russo Metal Co. was incorporated under the name Smart Recycling, an acronym for Scrap Metal And Recycling Technologies.